1. So, tell me why the capital of international law is caught up in this dispute. Well, the Islamic Republic of Iran (also known as ‘just’ Iran) has declared war against the US. But this conflict isn’t militaristic, but rather a legal war. And the battlefield is The Hague instead of the Persian Gulf. On 16 July 2018, Iran instituted proceedings against the US before the International Court of Justice (ICJ). 3. And Iran went to court? 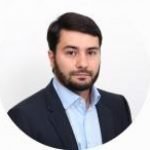 Although Iran has put the use of force to block the Strait of Hormuz in the Persian Gulf on the table as an option, it chose to first take a legal route to avoid and prevent re-imposition of the US sanctions that would adversely affect the well-being of Iranian people. Indeed, Iran seems determined to wage ‘lawfare’ against the US to nullify the sanctions. 4. What’s that? What’s ‘lawfare’? Lawfare, as coined by American professor Charles J. Dunlap Jr, refers to use of the law as a weapon of war. He defines lawfare as the strategy of using the law as a substitute for traditional military means to achieve a warfighting objective. 5. What’s Tehran up to with trying to use ‘lawfare’? The US has demanded all countries to put an end to imports of Iranian oil by 4 November this year. To keep exporting its oil, Iran might resort to force, but it is giving the law a chance to take a role in preventing the US sanctions from taking effect. Compared to an armed conflict, lawfare is relatively costless and – even more importantly – bloodless. The pacifist approach adopted by Iran should be seen as a welcome substitute to ‘real’ war, especially since this peaceful initiative is consistent with the United Nations’ Charter which obliges states parties to, first of all, seek a solution by negotiation, mediation, arbitration or judicial settlement, when they are in any dispute. 6. So is Iran a regular ‘lawfarer’? This isn’t the first time Iran has brought a case before the ICJ against the US. In 1989, after the USS Vincennes targeted the Iran Air Airbus A-300B, with an American guided-missile cruiser, causing the deaths of its 290 civilian passengers and crew, Iran instituted proceedings before the Court against the US. And later, in 1992, Iran went into another legal war with the US over the destruction of several Iranian oil platforms in the Persian Gulf during the so-called Tanker War in 1987-1988. And, most recently, in June 2016, Iran instituted proceedings against the US over interference with assets and interests of Iran and Iranian entities in the US, because Washington alleges that Iran is a State sponsor of terror. 7. Why does Iran use the ICJ for all these cases? The ICJ is the principal judicial organ of the United Nations. It is known as the World Court. 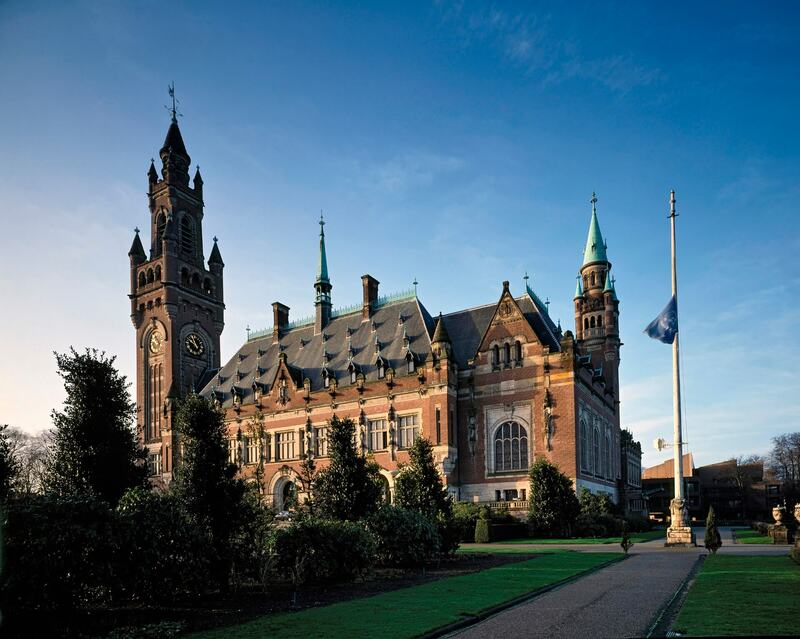 It’s a permanent international institution that, occupies premises in the Peace Palace in The Hague. But the ICJ is not the only permanent court in The Hague. The International Criminal Court (ICC) is, for instance, a permanent international institution that resides in The Hague too, but with a different mandate. 8. What? Two bodies that have nearly the same acronyms in the same town? Do they do they do the same thing? The ICJ is an organ of the UN, but the ICC is an independent international organization. There’s more: for example, the ICJ tackles disputes between states, whereas the ICC looks exclusively at individuals accountable for genocide, war crimes, aggression and crimes against humanity. This is the first piece in a series on how The Hague is involved in the dispute between the United States and Iran over the so-called Iran nuclear deal. Click here for Part 2 on how the International Court of Justice works. And here for Part 3 on what the possible outcomes of Iran’s legal gambit may be.